​Bookassist has announcde the certification of the Guestline PMS for full two-way XML interconnectivity with Bookassist Booking Engine. Guestline PMS can now access the Bookassist OTA interface to exchange availability, rates, restrictions and accept reservation delivery from the Bookassist Booking Engine. Guestline joins a broad gallery of technology partners now fully integrated with Bookassist systems. Harbour Hotel in Galway, Ireland, was lost in a sea of competing hotels and needed to stand out from the crowd. Realizing their competitive edge lay in their own passionate staff, the hotel created a series of videos showing their love for Galway and the unmissable places to visit. 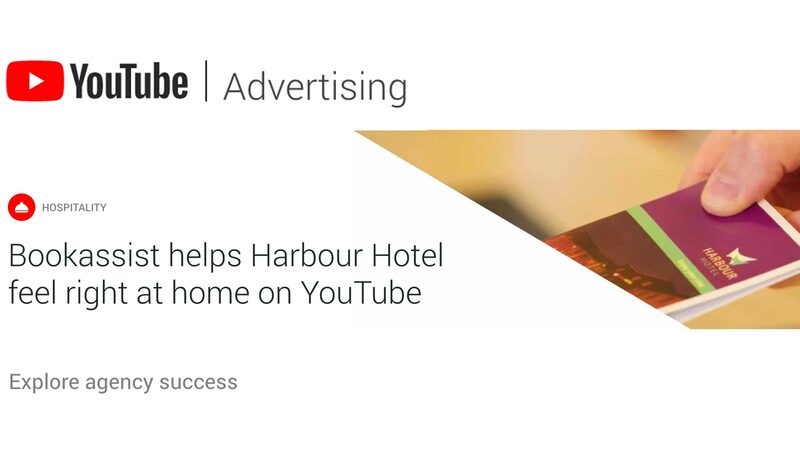 As a result of working with digital agency Bookassist, Harbour Hotel’s videos successfully reached thousands of potential customers on YouTube. This boosted their sales by 50% year over year, and made their channel everyone’s new favorite destination.